Nicely finished bungalow set on a quiet cul-de-sac in Amherstview. 3 bedrooms, 3 baths and featuring upgraded stone front, covered porch, large tile foyer, hardwood flooring and 9ft ceilings on main floor. Large great room with 6ft patio door leading to 20ft x 12ft covered and screened deck overlooking the oversize rear yard. Upgraded kitchen with extended uppers, tile backsplash, under cabinet lighting, large island with pot/pan drawers and extended breakfast bar. Large dining area w/huge window. Spacious master bedroom with walk-in closet and ensuite with tile floors, soaker tub and separate shower. All main floor windows feature custom California blinds. Fully finished lower level with huge rec room, and two bonus rooms plus 3-piece bathroom with corner shower. Oversized 1.5 car garage with carriage style doors and automatic opener, HRV, central air, double wide paved driveway and more! This EnergyStar qualified home was quality built with efficiency in mind. 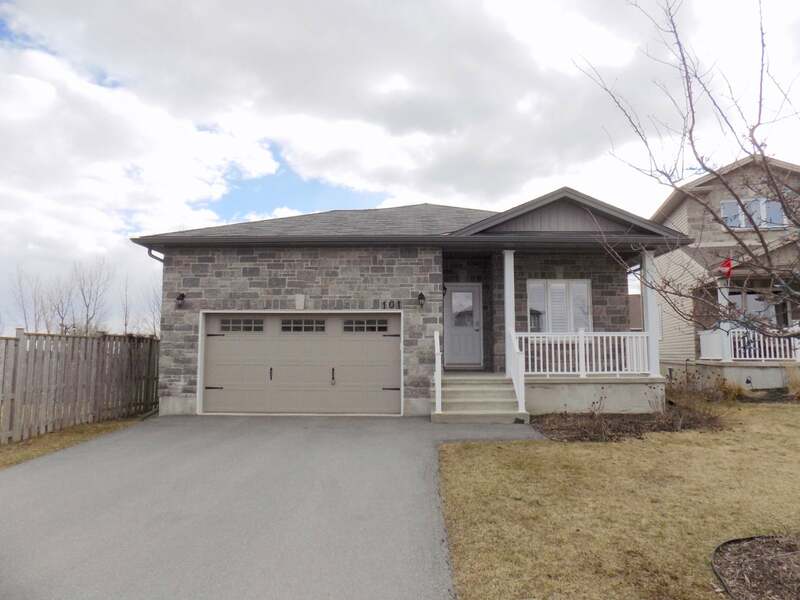 Just steps from the treed walking trail and park or minutes to schools and rec centre. Call to arrange a private viewing today! Lot Size 40.22 x 136.31 Sq. Ft.